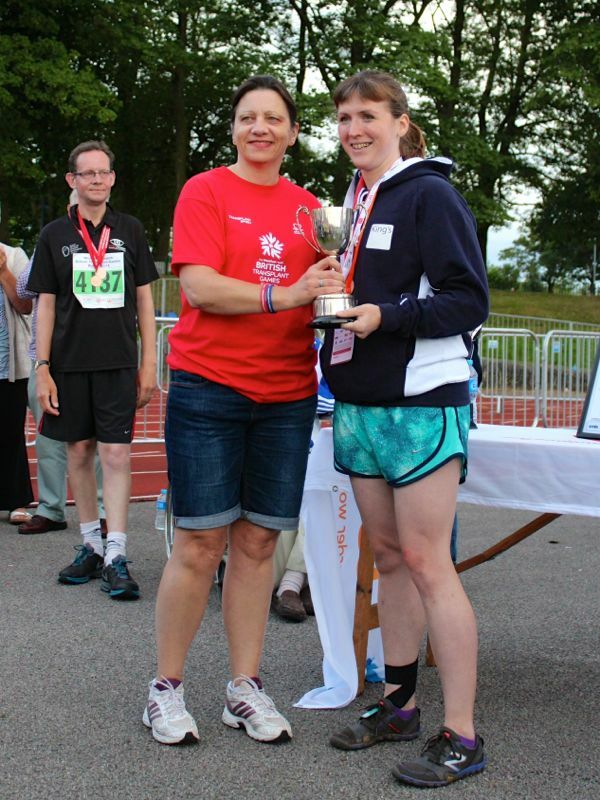 This weekend I competed in my second British Transplant Games, which sees organ and bone marrow transplant patients from all over the UK competing in a variety of sports, showing what we can do when given a second chance at life. The games move around each year, and took place in Bolton over the weekend (you might recall my report from Sheffield last year). Last year I only fancied competing in the two longest distances available, but this year my team captain encouraged me to sign up for the maximum five individual events, so I registered for the 3km “mini marathon”, 1500m, 800m, 400m, 200m, and the mixed relay. Saturday night’s “Mini Marathon” was my first event, though it’s really four races run at the same time – a 5km “mini marathon” event for male transplant competitors, a 3km “mini marathon” event for female transplant competitors, a 5km “donor run” for anyone, and a 3km “donor run” for anyone. Last year all four races were set off in one massive scrum, which saw us literally tripping over children in the first few hundred metres, and caused a lot of complaints about the safety of the faster and slower runners alike. So I was pleased when I ran into my friend (and kidney transplantee) Ruth, who then went up to the organisers pre-race to ask what they were doing about the situation this year and if they could please separate out the competitors from the fun runners. The race hasn’t been chip-timed for the past few years, so it’s essential for competitors to be able to run as fast as they possibly can in order to win medals. 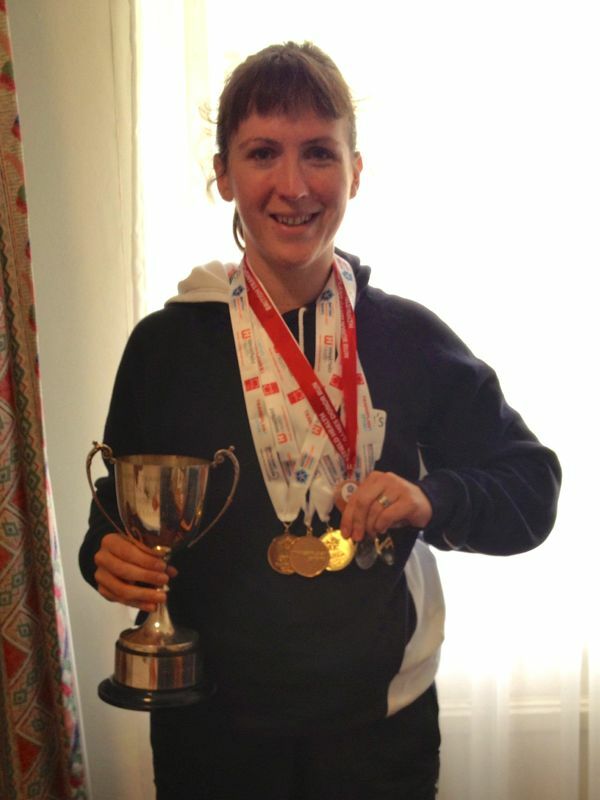 As an aside – Ruth is a total badass who’s also run loads of marathons, including Bacchus full last year, and just ran the Thunder Run a few weeks ago, solo, completing over 90km in 20hrs. Just sayin. So after some warmups, we all took to the start as a massive scrum, with a few half-hearted comments for all the 5km runners to please go to the front. Facepalm. So Ruth and I wrangled our way up to as close to the front as we could, avoiding the blind, tethered runner, small child, and other fun runners to try and get to a good position, a few rows back behind some dudes who looked fairly fast. The first 300m were on the track, and after about 10m of jostling to get around slower runners, then having to pull back to avoid three slower guys running abreast, I clipped the heel of another slower guy ahead of me and I went down. Hard. I’ve run probably 70-80 races in my days, and I have never once fallen in a race. But I fell here, and the track is nowhere near as soft as you’d think – I got massive scrapes on both knees and my right elbow, and half the pins ripped out of my number. I screamed a massive blue streak, Ruth helped me up, and I carried on running. 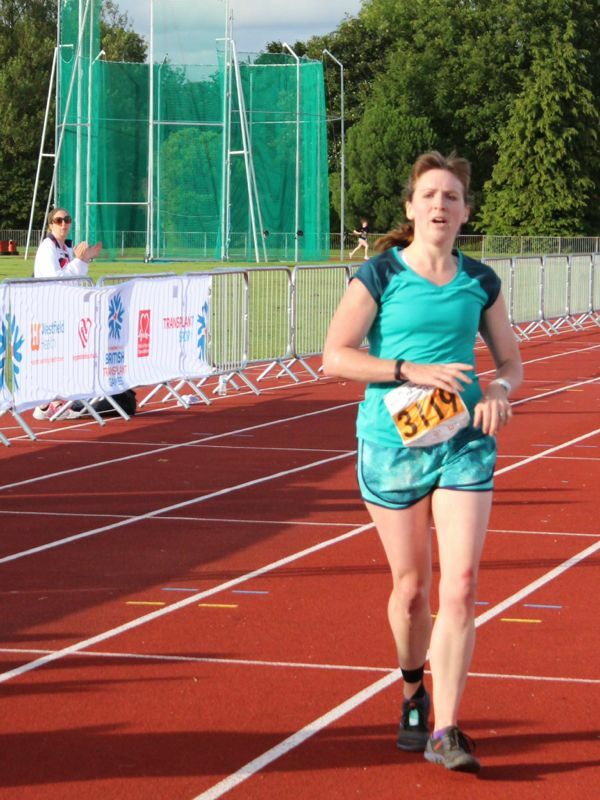 Most of the course was a blur of anger and adrenaline, but I do recall a lovely woodland stretch near the end, then a surprisingly big hill just before rejoining the track for the finish/start line, where I finished as the first lady (fourth overall) in 11:07 to take the gold medal. I then headed directly to the paramedics to get cleaned up, where I immediately started a sneezing fit. After describing it to James, we concluded it was my first ever bout of hayfever. Ever. So for the rest of the weekend I was hopped up on antihistamines, going through tissues at an alarming rate, with red nose, red eyes, the works. Yay. But I digress – as first lady of any age category, I also earned the Lynn Hindle memorial trophy, which I’m happy to take care of for another year. Saturday may have been dry and lovely, but Sunday’s forecast was for torrential rain for pretty much the entire day, with strong winds as a result of a hurricane remains further south. So, perfect for five track races! Ha. The 1500m was first up, and myself and the other ladies huddled under some gazebos until our start, trying to stay as warm and dry as possible. How much do I love this photo?? 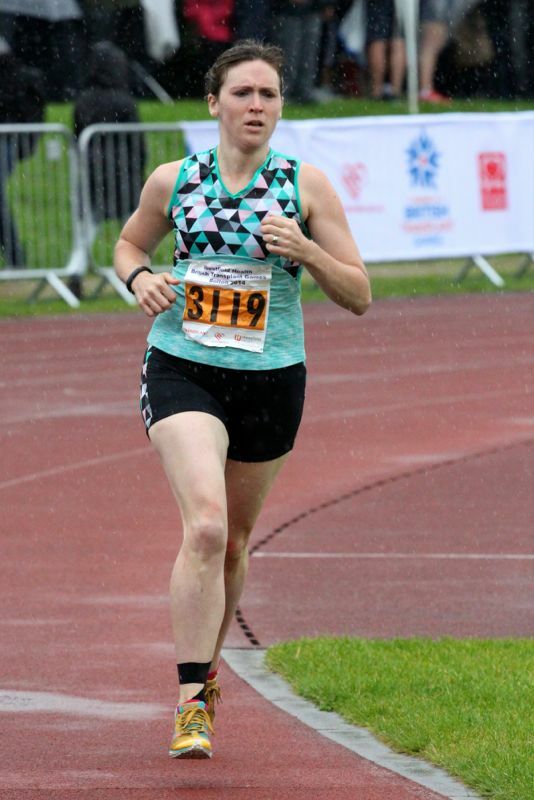 Notice the rain drops around my head… I’m also wearing two of my own patterns – the VNA Top & Duathlon Shorts! I’ve run in the rain enough to mostly be able to block it out (Cophenhagen marathon was good practice there! ), but the finishing straight had a helluva headwind, blowing the rain right into my eyes and making for some tough speedwork. I gave it about 90%, knowing that I still had four more races, but I still finished first across the line in 5:49. 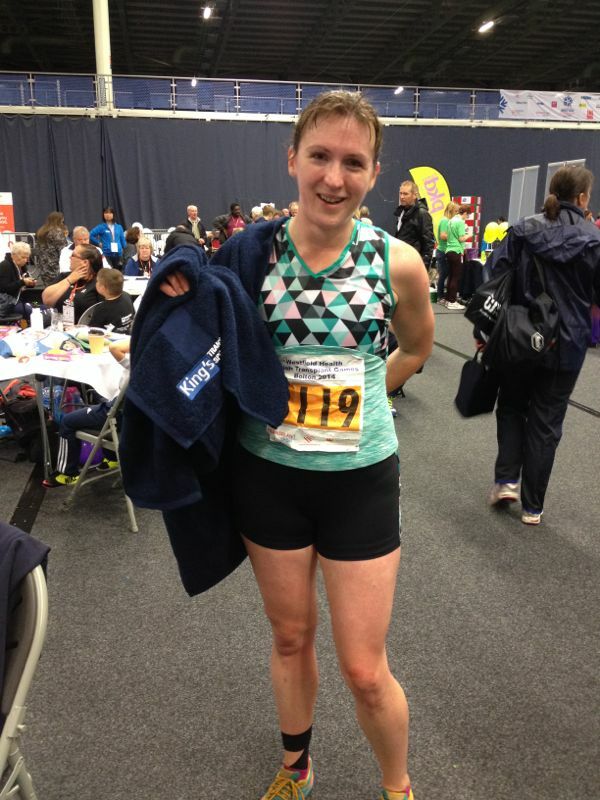 Towelling off with my official team Kings College Hospital towel after the 1500m race, just like a swimmer! Even though the track wasn’t as big or nice as Don Valley Stadium last year, and the seating wasn’t under cover, either, the staff on the track this year were superb – incredibly helpful, friendly, and professional, too. There’s nothing like having a lap counter, last lap bell, and officials shouting out your lap times to make a girl feel like Mo Farah (or Jo Pavey!). There was a massive two hour delay, however, between the end of our race and the medal ceremony, which involved Ruth and I again having to track down race officials, explain to them that they got the medals wrong (medals are awarded by age category, not overall finish position), run back and forth between various race HQs, wait ages longer, finally get an amended result that was still wrong, and finally just write it out ourselves for the poor medal officials to get on with the podium stuff. Oh yes, there’s a podium! By this point (midday), though, we were both starving and my 200m race wasn’t until 14:30, so we headed off for a quick lunch, arriving back at 14:00 in what we thought was plenty of time to warm up. …Until one of Ruth’s teammates came past us in the rest area saying “Aren’t you running the 400m? They’re calling your name out on the track!” Uhh??? So we both ran out (hearing my name announced as well) to make it onto the track just in time to run the 400m, which wasn’t scheduled to start for other 90min. Apparently someone decided to compress the schedule in order to try and get all the races done before the impending bad weather (fair enough, since they had to stop play altogether earlier when winds were so high they were blowing metal barriers onto the track). But they made no announcements in the sports hall before we left, and despite their twitter account making lots of casual tweets, they said nothing about the time changes, which would’ve made us high-tail it back from lunch to compete! So after running the 400m (and winning it in 1:15) then pleading my case about missing the 200m race and clearly showing I’d made every effort to be aware of the situation, the race officials finally conceded to let me run 200m on my own as a time trial, with my time being slotted in amongst the other runners for rankings. I was fine with that, as I just wanted to be able to compete! 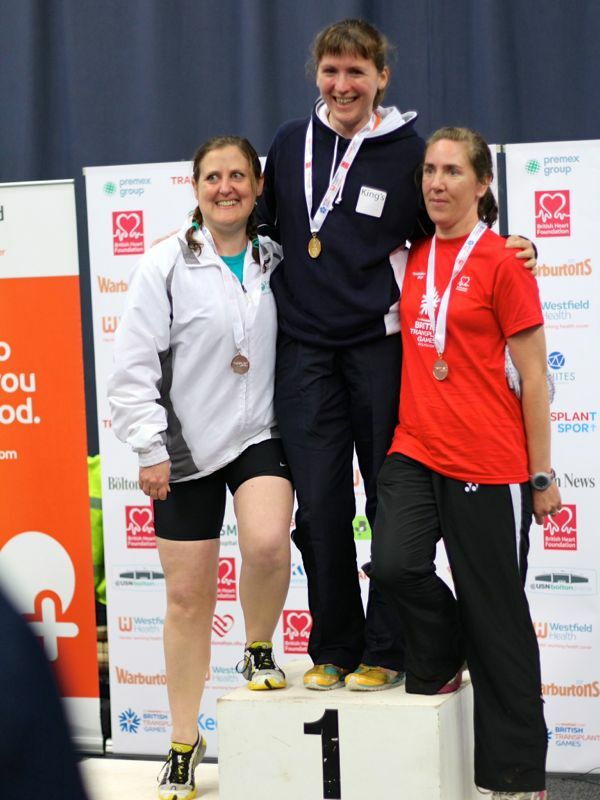 I’m really not a sprinter, but I wanted the chance to at least get a time down, so I headed out on the track with another lady (in a different age category) who’d also missed the race, and we ran our 200m, completing mine in 0:36, which earned me a silver after all was said and done! Due to the approaching dark clouds, all the mixed relays were cancelled, so it was just the final 800m left at the end of the day, and I hit the start line yet again, feeling probably as calm as I’ve ever felt before a race. I especially like the longer races where I don’t have to stay in my lane, so as soon as I can, I tear off to Lane 1 and settle into a crazy fast pace, counting breaths in my head to ward off any thoughts. 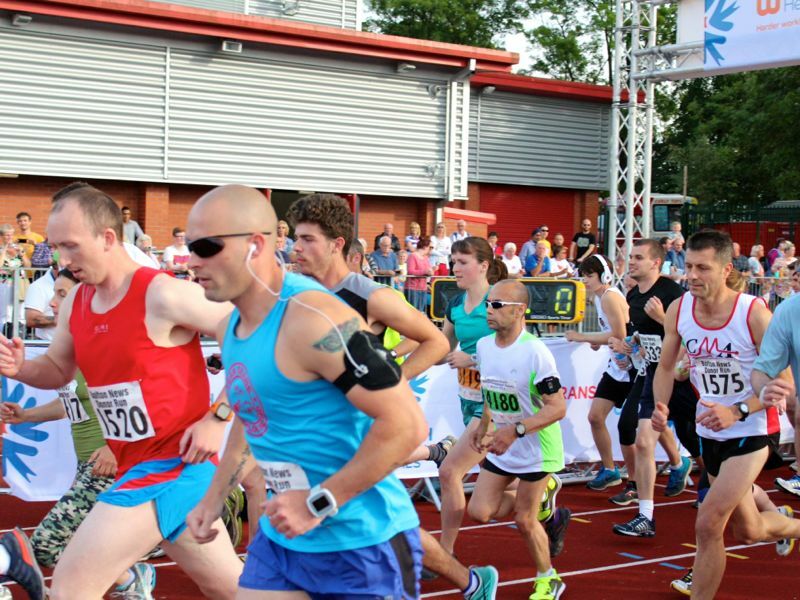 But as I was running the 800, I could hear the announcer talking about me over the tannoy, saying things like “well, it’s clear she’s a well trained athlete…”, which made me laugh, and make a note to tell Barbara about that one! Even at the end of a long day, I was able to earn gold here, too, in 2:45! 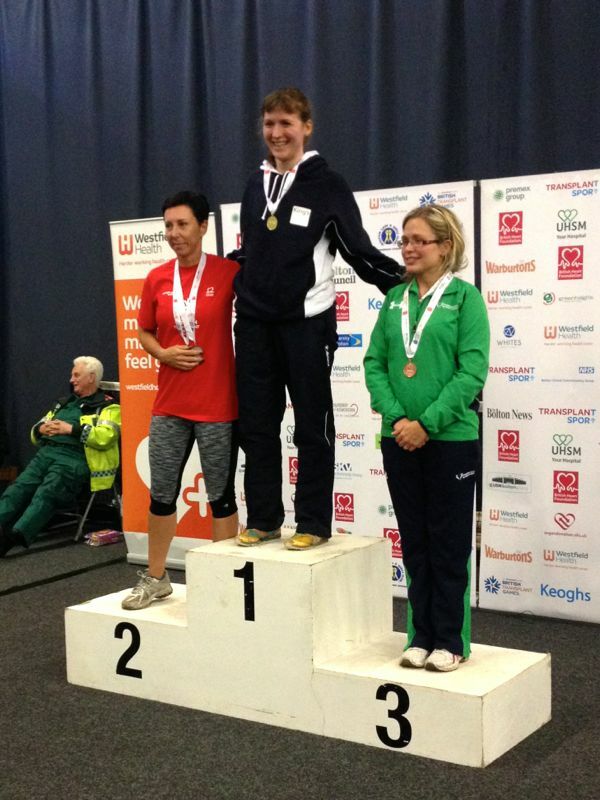 So I ended the day again, beaming from the top of a medal podium! My total haul for the weekend ended up being four gold, one silver, and an amazing trophy. This weekend was my “A” Race for the fall, with special emphasis on the 3km and 1500m, so I’m super, super happy with this result!! The games this year were also qualifiers for the World Transplant Games in Argentina next year (an IOC event, omg! ), so I’ll find out in a few months if my performance was good enough to be invited to join the British Team. For someone who wouldn’t even be alive without her donor, this seems like an unbelievable proposition. But really, the real wonder is that absolutely everyone competing this weekend wouldn’t be around if it wasn’t for the selfless generosity of another person. I think the British Transplant Games are the best possible way to show what can be achieved when someone is given a second chance at life. Please, please put yourself on the Organ Donor list and discuss this with your family so that they’re aware you want to go on saving lives after you die. And if you’re aged 16-30, please also sign up to the separate Anthony Nolan bone marrow database, which means you could save a life and return to normal after only 3 weeks. Congratulations over and over! We are as proud of you as you should be of yourself! 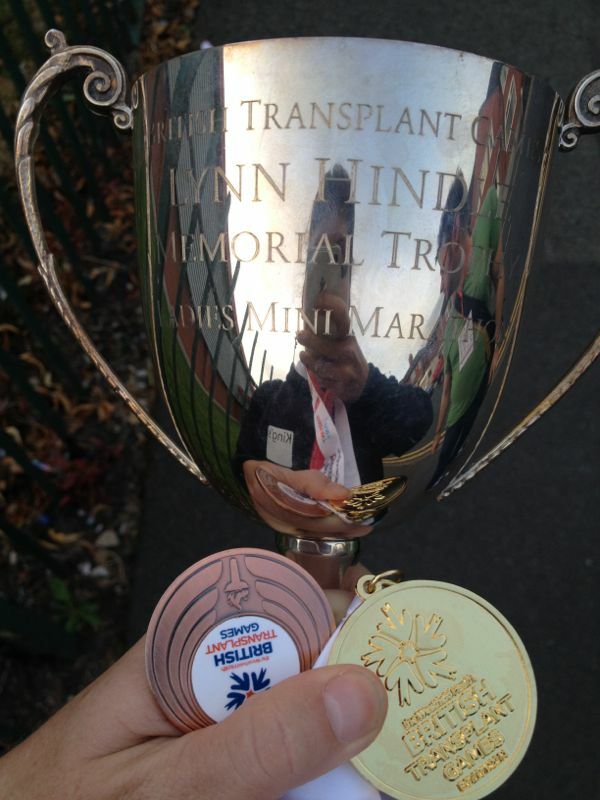 Fingers crossed for a qualifier in the World Transplant Games. This is a great summary of the weekend games. Too bad the weather wasn’t more cooperative. Huge congratulations – I am SO impressed! 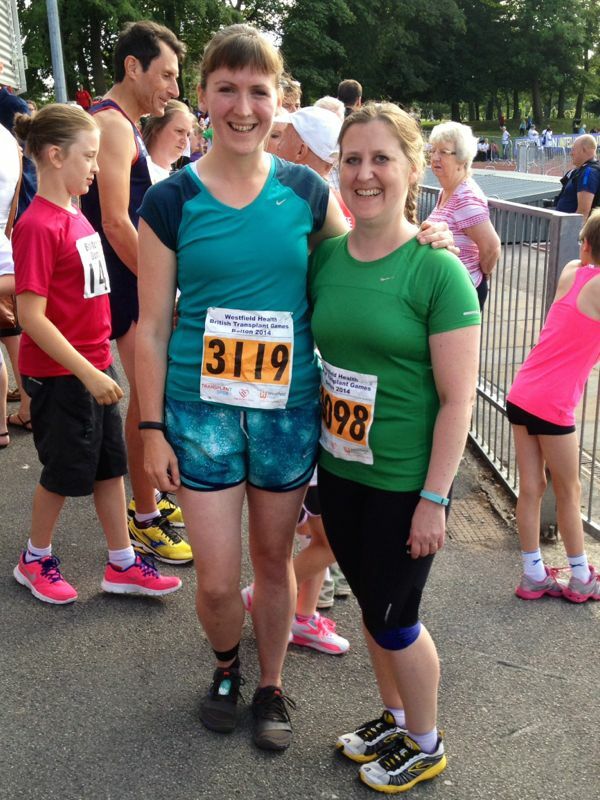 Just hopped over here from the sewing blog to hear a bit more about your running with no idea you were such an impressive athlete – well done you! 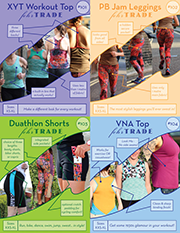 As soon as my fabric arrives I am going to make up my own VNA top and run a half – you have inspired me on two fronts! Great job! That would be so exciting to go to Argentina! Best wishes. Well done Melissa, another stellar performance. Sad that the start chaos caused a fall but good that it didn’t impact on the other races. Your running gear designs looked fabulous. Holy #*$%% you did amazing! I have no doubt that the silver would have been gold if you’d competed in the actual race. You are truly an inspiration! OH MY! What a great performance ! Those poor knees of yours. hugs to you. Melissa, well done!! What a fantastic sweep of medals to mark your achievements! You are awesome!! I’ve really enjoyed reading your trials and tribulations ( a bit late!) and fingers crossed for Argentina!!! That would be amazing!! Hi there, just found this while doing some online reading about the Transplant Games. Thanks for posting! I am intrigued to hear your pal Ruth, a kidney transplant recipient like me, has done ‘loads of marathons’, as my kidney consultants are not keen on me doing any at all! How has she managed it?